Finding the perfect location for your luxury vacation rental in Provence. People looking for accomodations on the Just Provence site search through our portfolio of exclusive rental properties and get attracted by the high quality photos, as they pick through the list for the perfect setting for their family’s vacation in Provence. After this process, questions we are often asked are: where is this property located, how far is it from the nearest village, Avignon or a famous landmark and, will this vacation rental be a good base camp for excursions? In this article we’ll look at how you can determine if a location will fit your needs. There are few straight roads in Provence. 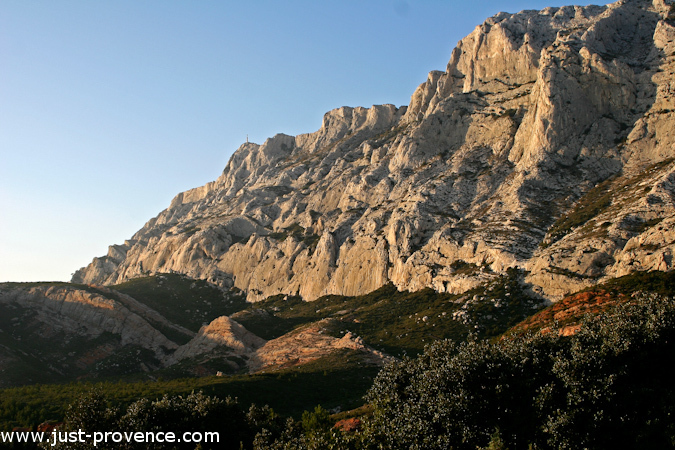 One important factor to take into account when planning your visits in Provence is that Provence itself is delimited by the River Rhône and mountain ranges, the Alpilles, Mont Ventoux and Luberon to name the most prominent. This means that travelling around the region will enable you to discover wonderful natural sites but also a lot of winding roads and curves. The region around Avignon is very well served in dual carriageways and motorways. But quaint medieval Provençal villages, that the area is famous for, have kept their character by being off those main roads. These are the places you might want to visit. This factor of time spent travelling between points of interest will weigh heavilly on your choice of holiday rental destination. The average stay in Provence in peak season is 2 weeks. In those 14 days you will want to see it all and enjoy the “Must See” places that you have pin-pointed while planning your stay. Places you could associate with a holiday in Provence could be daily colourful markets, visiting a village you have seen in “A Good Year” with Russell Crowe, the magnificent millenia old Pont du Gard or touring the Côtes du Rhône villages for that wine experience you have anticipated for years. You will have to consider if they fit in your tight schedule and if they require a day trip, an afternoon or just a quick visit as you cycle by. You can use the search function on the Just Provence website to sort properties by location. This also allows you to enter detailed requirements as for example chosing between a country home or a vacation villa near a village. In order to help you pick the ideal location for your stay in Provence, I have made this very simple map (thank you Google!). It highlights 4 important cultural centres of Provence, Uzés, Avignon, Saint Rémy de Provence and Apt. Avignon being the gravitation point since it benefits from a fast train station, two motorway exists and an airport. Chances are Avignon will be your point of arrival in Provence whether you come in from Paris, London or Marseille. As you can see, all four centres are within a 30 minute to an hour radius of each other. Which means, for example, that when you pick any location in the red circle you will be able to plan, at least, a day out in these areas with ample time for visiting, enjoying restaurants and then getting home safely with time to spare. During your stay it is a good idea to book a private tour, so an English-speaking driver guides you around the places of interest you choose without the hassle of driving around with your eyes focussed on the GPS instead of enjoying your visit of Provence. Picking the ideal location saves you time and money. As I mentioned in a previous post on planning your stay in Provence in advance, it is essential to make a short list of things you would definitely want to see and do during your visit so as to plan a memorable emotional escape in the South of France. By giving the location careful thought when choosing an exclusive rental properties you will ensure your stay goes as smoothly as possible. Do you have a favourite destination in Provence? Have you already considered a list of things to do and visit on your next trip? We’d like to hear from you. If you have any questions or comments do not hesitate to leave a message or contact me at: sales@just-provence.com.